Full Throttle Batteries stocked by Battery Pete. 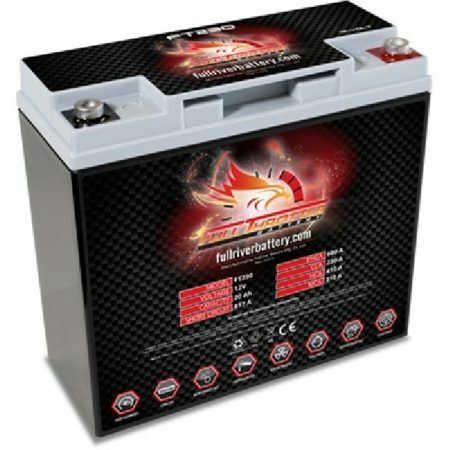 Full Throttle is a brand of FullRiver Battery Co.
Full Throttle Batteries are made by the Fullriver Battery Company. Fullriver Battery Company has engineers in the USA, Europe and China. These engineers have developed some of the highest quality VRLA technology on the market today. Unlike many battery producers, they do it all. This allows control over the entire manufacturing process. From grid casting, plate pasting and final assembly. All are done in house at an award-winning manufacturing facility. This ensures total quality control. In fact, they have earned a number of quality assurance certifications including; ISO9001, ISO14001, ISO18001, UL, CE and TUV for quality production systems. Each FullRiver DC Series, Full Force and the new Full Throttle batteries are designed to be deeply discharged and recharged hundreds of times. With the sealed, maintenance-free aspect of all of their AGM batteries, you can simply “Set it” and Forget it”. They have created a true deep cycle battery with superior starting and performance. If you would like assistance choosing your Full Throttle battery, get in touch with Pete’s team.